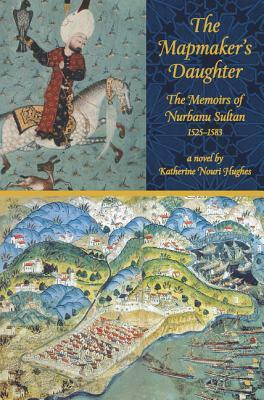 Narrating the spectacular story of her rise to the pinnacle of imperial power, Queen Mother Nurbanu, on her sickbed, is determined to understand how her bond with the greatest of all Ottoman sultans, Suleiman the Magnificent, shaped her destiny – not only as the wife of his successor but as the appointed enforcer of one of the Empire’s most crucial and shocking laws. Nurbanu spares nothing as she dissects the desires and motives that have propelled and harmed her; as she considers her role as devoted and manipulative mother; as she reckons her relations with the women of the Harem; and as she details the fate of the most sophisticated observatory in the world. Nurbanu sets out to “see” the causes and effects of her loves and choices, and she succeeds by means of unflinching candor - right up to the last shattering revelation. KATHERINE NOURI HUGHES, Iraqi-Irish by birth, has spent much of her career as a speech-writer. She has published two books on K-12 education, been a communications executive in the for-profit and non-profit sectors, and serves on the boards of the American University in Cairo, the Orpheus Chamber Orchestra and WNET/13, the public television station. She attended Princeton University where she received a Masters Degree in Near Eastern Studies. She lives in Princeton, New Jersey and has two daughters and two grandchildren. The Mapmaker's Daughter is her first novel.